Tips on how to complete the latest Wanted Bounty in Destiny 2: Forsaken. In Destiny 2: Forsaken, players have been wanting to know where to find Wanted: Qeldron, Keeper. 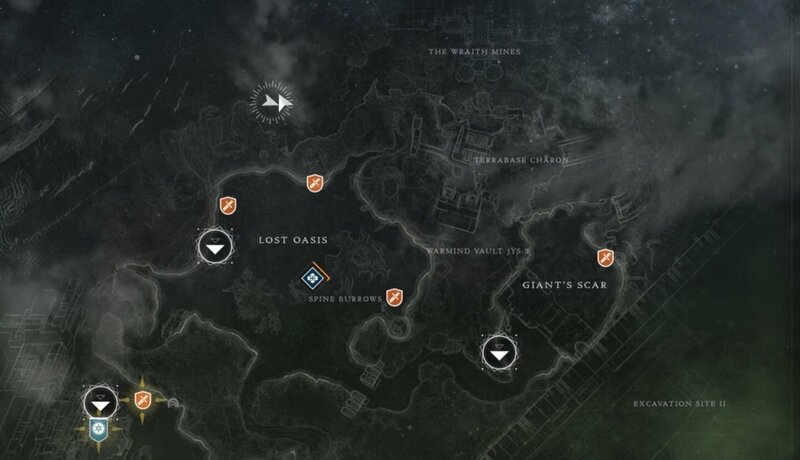 To unlock this Wanted Bounty, you’ll first need to visit the Spider at the Tangled Shore. There, you can purchase Wanted Bounties in exchange for Ghost Fragments, including Wanted: Qeldron, Keeper. With the Wanted: Qeldron, Keeper bounty unlocked, you’ll then need to head out into the world of Destiny 2: Forsaken and locate your Wanted target. To simplify things, we’ve put together a quick guide on where to find Wanted: Qeldron, Keeper in Destiny 2: Forsaken! Spawn into the Lost Oasis region on IO, then head to the Ulan-Tan Lost Sector to find Wanted: Qeldron, Keeper in Destiny 2: Forsaken. 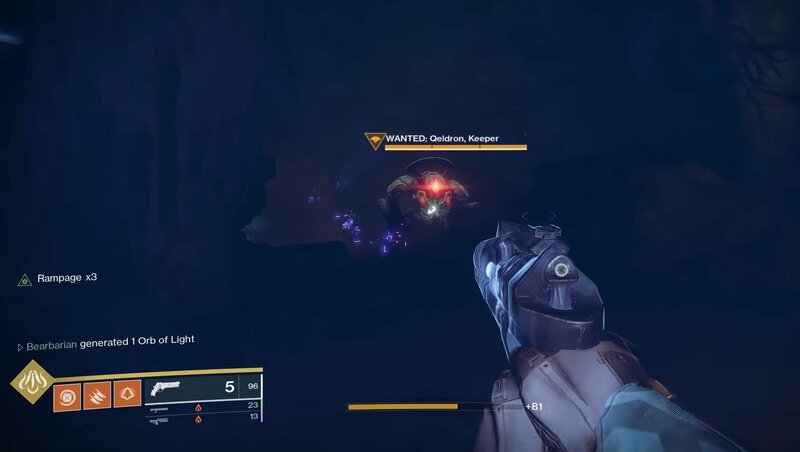 In Destiny 2: Forsaken, players have the ability to purchase Wanted Bounties from the Spider, including Wanted: Qeldron, Keeper. If you have a few extra Ghost Fragments on hand, head over to the Tangled Shore and interact with the Spider to purchase the Wanted: Qeldron, Keeper bounty. Once you’ve unlocked the Wanted: Qeldron, Keeper bounty, you’ll then need to begin the process of completing it. With the Wanted: Qeldron, Keeper bounty completed, you can return to the Spider and collect your Legendary rewards. The lore text for Wanted: Qeldron, Keeper reads: “Ah, this is rich! This is one that the Vanguard wants brought in! What do you think, my friend, shall I charge them triple?” Above the lore text, instructions can be found that indicate you’ll need to begin your hunt in the Grove of Ulan-Tan on IO. Defeat Wanted: Qeldron, Keeper then return to the Spider to collect your Legendary rewards in Destiny 2: Forsaken. To find Wanted: Qeldron, Keeper, first head over to the planet IO and spawn in at the Lost Oasis region. Next, head left towards the Grove of Ulan-Tan Lost Sector. Enter the lost sector and clear out enemies, as you make your way forward, you’ll eventually encounter Wanted: Qeldron, Keeper. After you’ve taken out all of the enemies and have successfully defeated Wanted: Qeldron, Keeper, return to the Tangled Shore and talk to the Spider. By interacting with the Spider, you’ll be able to turn in your completed Wanted Bounty in exchange for a set of Legendary rewards. For a visual guide, be sure to check out the video on where to find Wanted: Qeldron, Keeper in Destiny 2: Forsaken courtesy of YouTuber 360GameTV. For more on Destiny 2: Forsaken, be sure to check out some of our previous guides including where to find Wanted: Downpour Captain in Destiny 2: Forsaken, where to find Wanted: Subterranean Mind in Destiny 2: Forsaken, and where to find Wanted: Nariks reborn in Destiny 2: Forsaken. By reading through this guide, you should now know where to find Wanted: Qeldron, Keeper in Destiny 2: Forsaken.